Discover a fresh take on modern luxury at the Renaissance Providence Downtown Hotel. Our recently renovated boutique hotel, boasting a premier location in downtown Providence, is housed in an historic 1920's era building; this unique venue provides the stage for a memorable performance. Relax in style in your hotel room, with its intimate, elegant design and contemporary comforts including evening turndown. Also make use of the hotel's superb amenities. Work in a workout at our hotel gym. And savor delicious American cuisine at the signature restaurant, Public Kitchen & Bar. 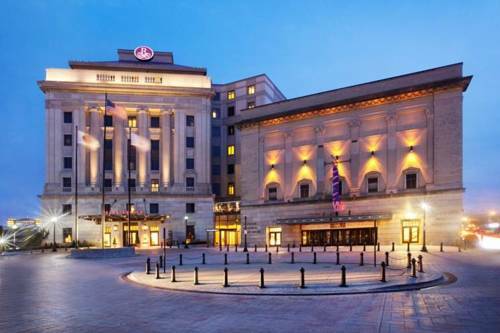 Host a meeting or event at our hotel in downtown Providence with nearly 15,000 square feet of sophisticated event space, as well as first-class planning services. Additionally, our downtown location places you just steps from Providence's most notable attractions; we're close to the Rhode Island Convention Center and Brown University, among others. Allow the Renaissance Providence Downtown Hotel to set a new standard for luxury lodging. Featuring a refined atmosphere reminiscent of a classic American Newport mansion and an innovative menu specializing in contemporary American cuisine, our hotel restaurant in Providence sets the stage for a unique dining experience. The ship fought the Vichy French, Japanese and Germans in World War II. Also here: a Russian missile ship, a submarine, and a Japanese Zero. A selection of mementoes from alleged murderess Lizzie Borden are on display, including a hatchet head, blood-stained artifacts, and her cutlery.